As a dermatology nurse practitioner in Los Angeles for over five years, I routinely treated patients who wished they had done more to take care of their skin. As a mother of a toddler (with another on the way! ), this particularly worries me. How do I help Liam (and Baby#2!) form good habits early on that will spare him the regret I heard from so many of my patients? While reading a potty-training story to Liam, it hit me – books are incredible tools for imprinting behaviors on the minds of children. Not long after reading a story, we hear children repeating a character’s words and imitating her actions. Liam has books on brushing his teeth, sharing, tying his shoes, going to school – but none on sun safety. 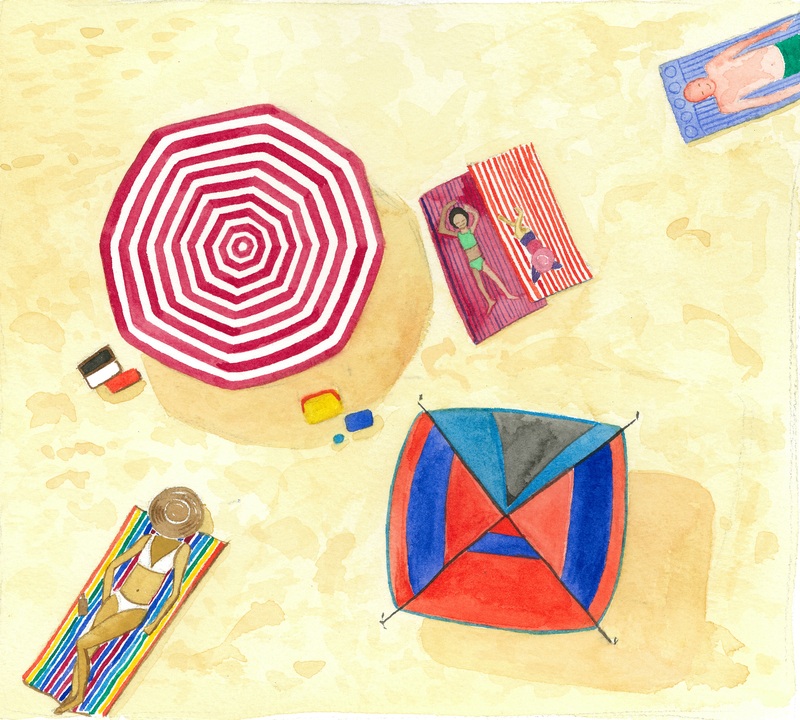 As a result, I am self-publishing my first children’s book on sun safety, Sunny Goes to the Beach. 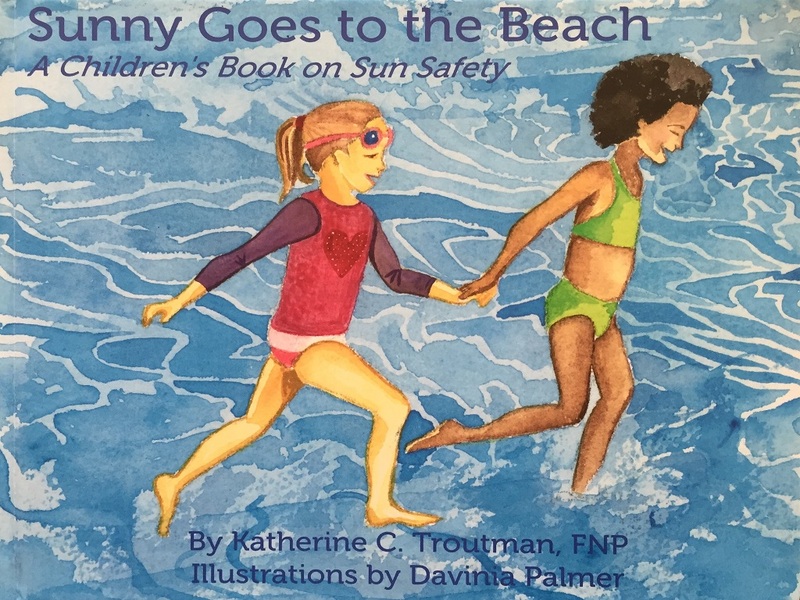 The story is a rhyming tale about sand and surf fun, with Sunny’s parents educating her and her best friend on sun safety through words and actions. It also introduces important concepts like sun-protective apparel (swim shirts, hats) and sun gear (shelters, umbrellas). I also included “Sun Facts” for parents and caregivers that address common issues, questions, and misconceptions about sun safety. These Sun Facts appear in the margins and provide practical tips for parents and caregivers to protect themselves and their children. The Sun Facts are all derived from guidance from the Skin Cancer Foundation. 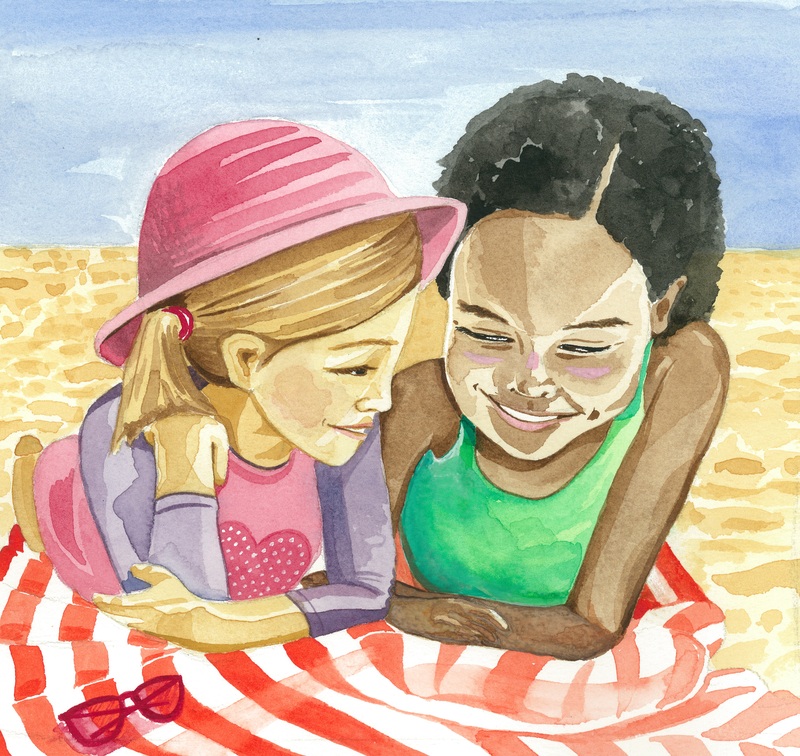 The book contains beautiful illustrations by artist Davinia Palmer – Liam was instantly drawn to the colorful portrayals of Sunny’s day at the beach. I am funding the publication through Kickstarter – the funding period begins on March 1. I will post next week with the Kickstarter information, but in short, by contributing to the funding, you can get copies of the book, as well as other cool rewards (like a live reading and interactive discussion on sun safety from me for your children). You can take a look at the book and get more information on the Kickstarter campaign at the book’s website, www.sunnygoesto.com.